The awarding of UNICEF's Baby Friendly accreditation to the Royal Borough of Greenwich Children’s Centres for a second time has shown that families in the borough are benefitting from good support. The awarding of UNICEF's Baby Friendly accreditation to the Royal Borough of Greenwich Children’s Centres for a second time has shown that families in the borough are benefitting from high quality breastfeeding and infant nutrition support. UNICEF Baby Friendly aims to support all mothers with feeding and to help parents build a close and loving relationship with their baby. The way we feed our babies and the relationships that we have with them has an incredible impact on their future, protecting their health and development whilst forming important secure attachments. The prestigious accreditation was awarded for a second time, highlighting the Royal Borough of Greenwich Children’s Centres proven track record of offering first class support to local families. UNICEF commented that the Royal Borough of Greenwich Children’s Centre staff went above and beyond to meet the needs of families in their area, and were highly commended for maintaining and embedding Baby Friendly standards within their work. 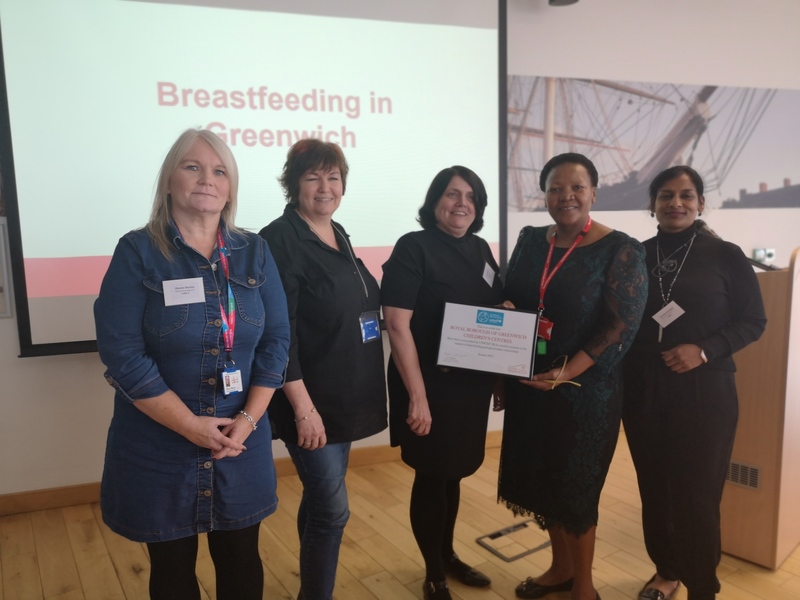 To further bolster the support to local families, the Royal Borough of Greenwich hosted its first ever breastfeeding symposium in March. A wide range of partners and experts came together at the event to draft a new infant feeding action plan for the borough. The event celebrated the success of both Oxleas Health visiting service, who were successfully re-awarded their Baby Friendly accreditation in June 2018, and Greenwich Children’s Centres in achieving their prestigious reaccreditation from UNICEF. Greenwich Council's Cabinet Member for Adult Social Care, Health and Anti-Poverty, Councillor Averil Lekau said: “We are incredibly proud to have retained our UNICEF Baby Friendly accreditation for the second time. It is testament to the dedication and professionalism of our frontline Children’s Centre staff who are actively supporting new mums who want to breastfeed, helping them to do so for as long as they wish to”.